Accelera Phi-R is the ultimate tuning master. Accelera Phi-R is the ultimate tuning master. 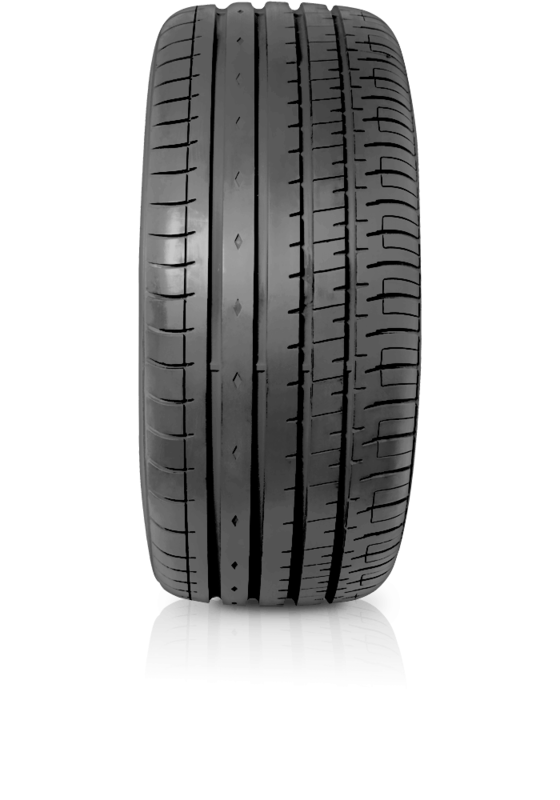 The tyre features a triple rib which improves high speed stability and ensures better steering response. The shoulder blocks provide improved cornering and maneuvering stability. With additional sipes in the pattern, driving noise is reduced.